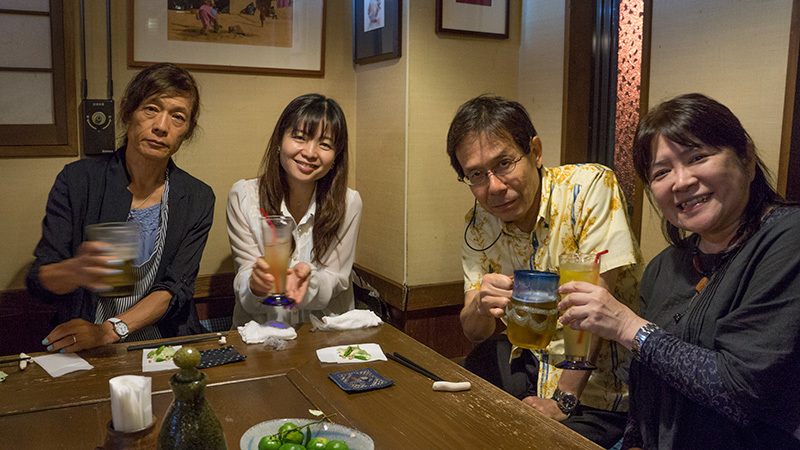 farewell party for tasaka san for a while. 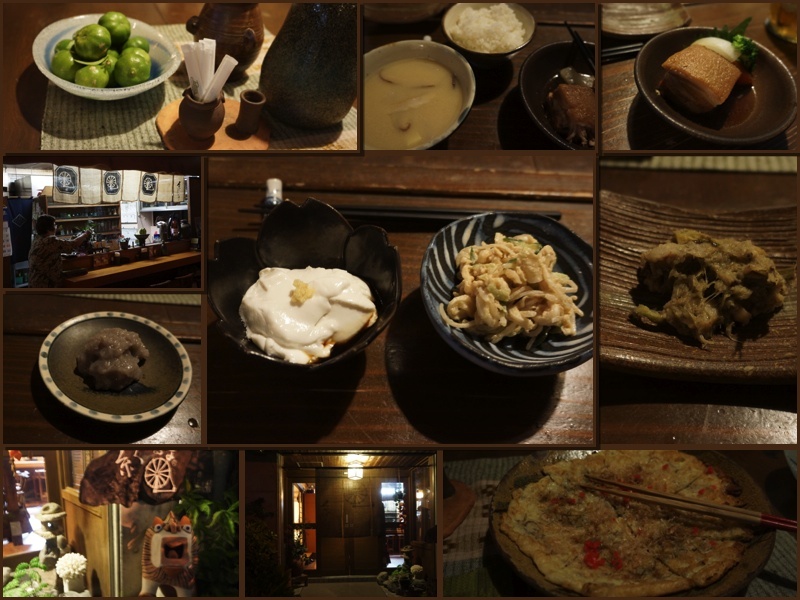 we ate traditional okinawan dishes in a restrant called itoguruma. itoguruma means spinning wheel in english. every dish is delicious and i like them.